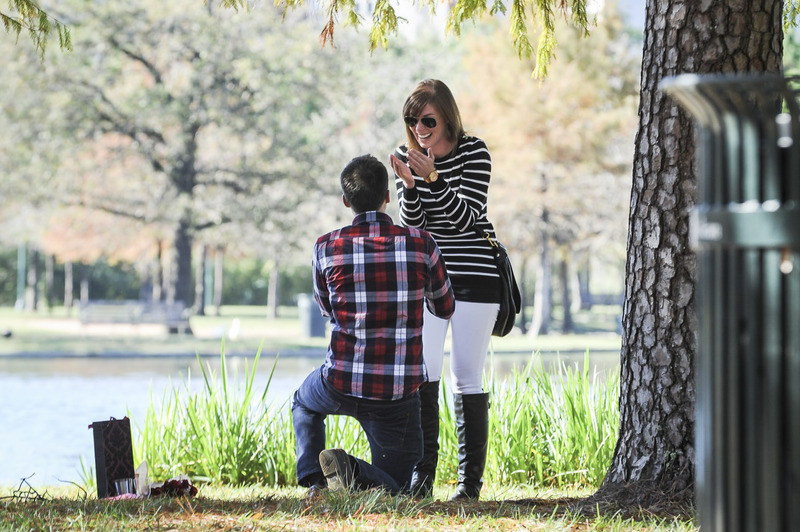 Planning your perfect surprise proposal in Houston just got a whole lot easier! From the proposal photography experts, are a few Houston proposal ideas to inspire your picture-perfect moment. As the nation’s leading surprise proposal photography company, we’ve helped hundreds of couples plan and capture their dream engagement. We wanted to put our expertise to good use! 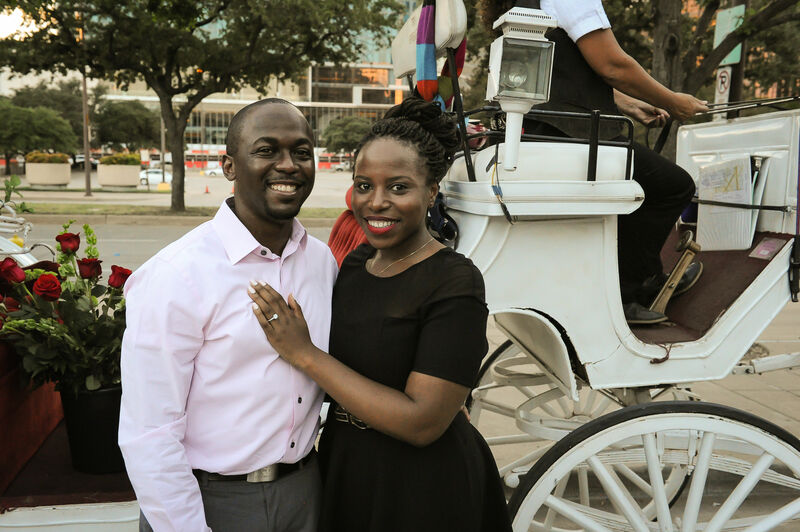 So, to get you inspired for your perfect marriage proposal, we’ve put together five Houston proposal plans that are sure to sweep her off her feet! Contact us for a free consultation with our proposal experts. Let the outside world fade away with an engagement at Waterwall Park. Pop the question surrounded by sixty-four foot walls of water for an absolutely magical moment! This is the perfect proposal idea for a couple looking for a private engagement not too far from the city center. Waterwall Park is located in downtown Houston, just steps from prime dining and shopping. It’s surrounded by a park with gorgeous oak trees, making it the perfect place for a stunning post-proposal engagement session. Edward’s Waterwall Park proposal was such a success that his fiancée dropped to where he knelt on one knee to give him a kiss! Find out more about how he captured his stunning engagement, on the blog. Transform any location into a romantic destination with this beautiful proposal idea. Pick a spot that means something to the two of you, whether it’s outdoors or in your own apartment. 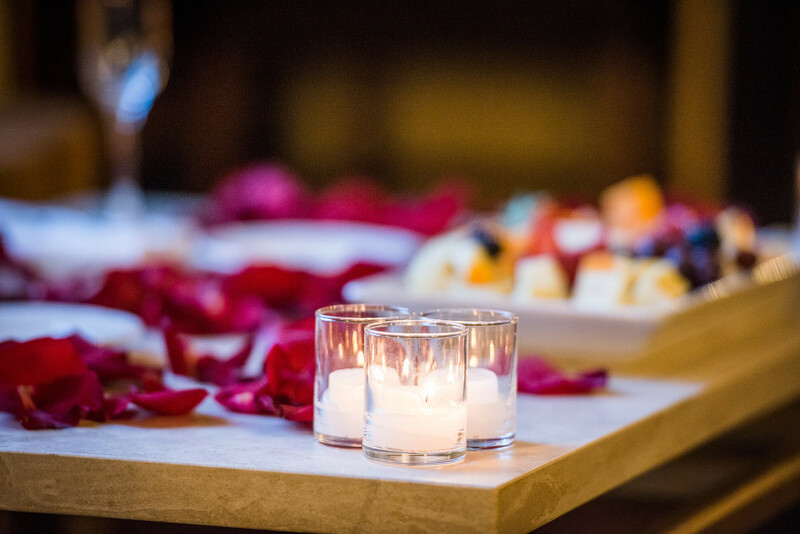 Have candles and rose petals set up to adorn the space, maybe even chill a bottle of champagne to add to the atmosphere. This is the perfect proposal idea for a surprise engagement! Tell your special someone that you’ve made dinner reservations at a romantic downtown restaurant. Suggest a stroll through your favorite park beforehand, where you’ll stumble across a gorgeous picnic. Then, add to the surprise with an amazing proposal! There several incredible parks in Houston, but our favorite is Hermann Park for its central location and wide variety of scenery! That’s where Martin completely surprised his fiancée with a romantic picnic proposal as our proposal photographer discreetly captured each moment! Get inspired for your own marriage proposal by watching him pop the question! For a fairytale marriage proposal, book a horse and carriage! This proposal idea is the perfect beginning the a storybook engagement. Let her boss in on the plan and have him tell her there’s a business meeting at a pre-determined spot. When she arrives, she’ll see you waiting to whisk her away in a horse and carriage! Head to your favorite scenic spot, and exit the carriage for a scenic proposal before you hop back on and head off to a romantic dinner. Forget the bouquet and surround yourself with gorgeous flowers with a Botanical Gardens proposal! Houston is home to a wide selection of great botanical gardens, but our number one suggestion for a surprise proposal is the Houston Arboretum and Nature Center. Pick out the perfect place to propose, whether it’s by a Lilly Pond or on a wooden walkway, and at just the right moment, drop to one knee! 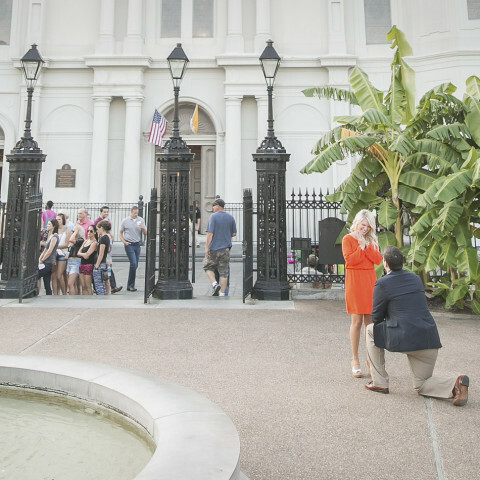 Can’t decide on the picture-perfect proposal spot in the Gardens? We’re here to help! Call us at 888-287-5120 for a free consultation. For the ultimate Houston proposal guide, check out our Houston location page! We’ve got tips on how to propose and a full gallery of the most recent Houston engagements we’ve helped plan and photograph.